Various types of floors are in use in the modern day when choices are too many in terms of technology, installation and material. But, the interest of house owners looking for easy to install cheap flooring options is evoked when they hear of floating floors which are DIY type floors, and fulfills both criteria. To make life simple, installation easy, and costing within budget, these floors are really a good choice. They are specially preferred in sound studios, recording places, movie theaters, and all such places where the sound resonance and vibration should be minimized for greater sound clarity. Nowadays even houses are getting floating floors installed for the advantages of installation, cost effectiveness, and some other benefits discussed below. The word floating is used to define this kind of flooring because the floor layer literally floats on air, while getting all the support from the three or four peripheries of the walls, and the interlocking folds between the floor planks or tiles. This type of floor does not require staying in touch with the sub-floor. The thin planks or tiles can be connected with each other through glue or interlocking folds. The design and technology used is quite similar to puzzle games. In puzzles, the pieces are held with each other to form a plain surface by the interlocking edges of each other. Similar technology is applied with more intricate locking folds and systems, such that the floor planks or tiles which are usually light weight for easy installation gets locked with each other. It is so easy that it is completely fit for all DIYers. Why Floating Floors are DIY Friendly? 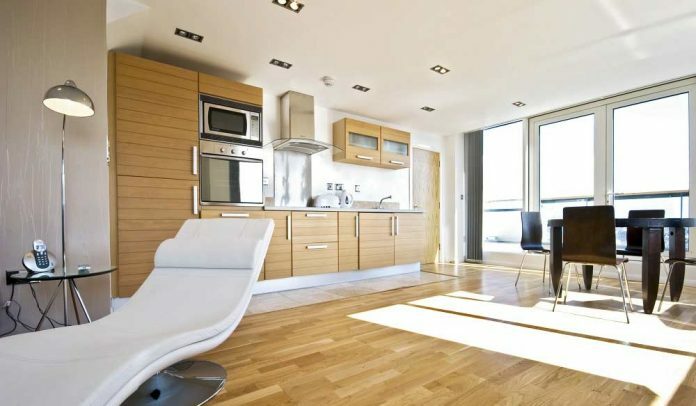 Floating floors have mainly come into focus of home owner’s due to the ease of installation. As more and more people look for DIY flooring ideas, and want to install floors without much hassle and use of professional tools like nailing machines, these came into the trend. These floors can be made of any material which is light weight and yet sturdy to take the weight of foot traffic and furniture. 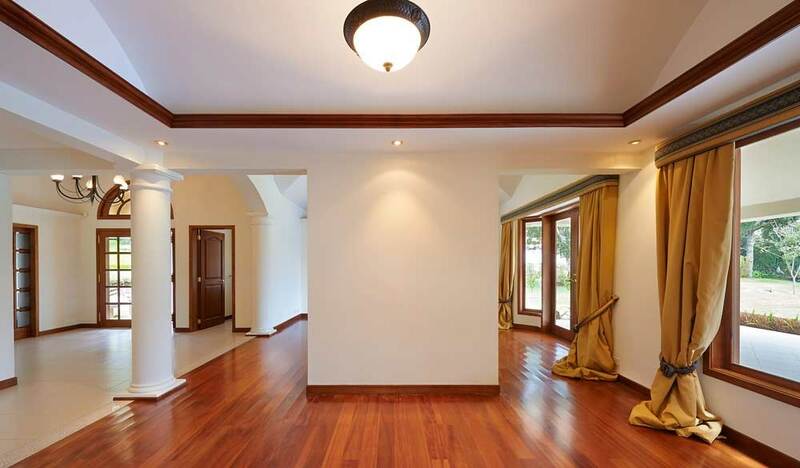 Timber, ply, and engineered wood tiles and planks, ceramic and veneered tiles are usually used in such floor making. They are generally interlocked and in old models glued together to make a floor. The floor gets its strength from the walls they are connected to and locked by, and from the adjoining locked tile or plank. You don’t need a nailing machine, or special professional tools to install a floating floor. You simply need to assemble the pieces together, one after another to complete the floor. It’s good to keep one side of the floor free from confinement. This gives the floor the much-required gap to expand, contract and re-size itself as per weather conditions. Other three or two sides can be confined with walls to keep the floor boards supported. While floating floors are good for normal usage in houses can withstand the weight of furniture and movement, they are not fit for heavy weight and activities as they happen in industrial zones. Being highly budget friendly, and being ready for use immediately on installation, they are good for normal houses and sound engineering studios. An important thing you must keep in mind about floating floors is that, you cannot wet the floor too often, as the moisture may seep underneath to the subfloor, and make the room damp. Hence, they are not fit for use in bathrooms. Otherwise you may install a floor at much low cost for the low-cost material and DIY installation advantages.